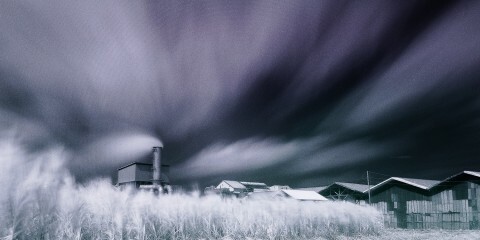 This contest is open to all professional and amateur photographers. Camera Club of Negros members are not allowed to join the contest. Contest Registration fee of P1,000.00 includes Entry Fee and Photographer’s I.D. Photographers outside Bacolod City may download entry here. Account Name: Camera Club of Negros, Inc. Send validated deposit slip and entry form by email: info@cameraclubofnegros.com as proof of payment. Deadline for online registration and deposit of entry fee is October 24, 2018. Registration center will accept registration and payments until October 26, 2018. Photographer’s Bib can be claimed at the registration center starting October 24, 2018 10:00am to 6:00pm. Bib will allow exclusive access to the Photographer’s Lane during the street dance competition. 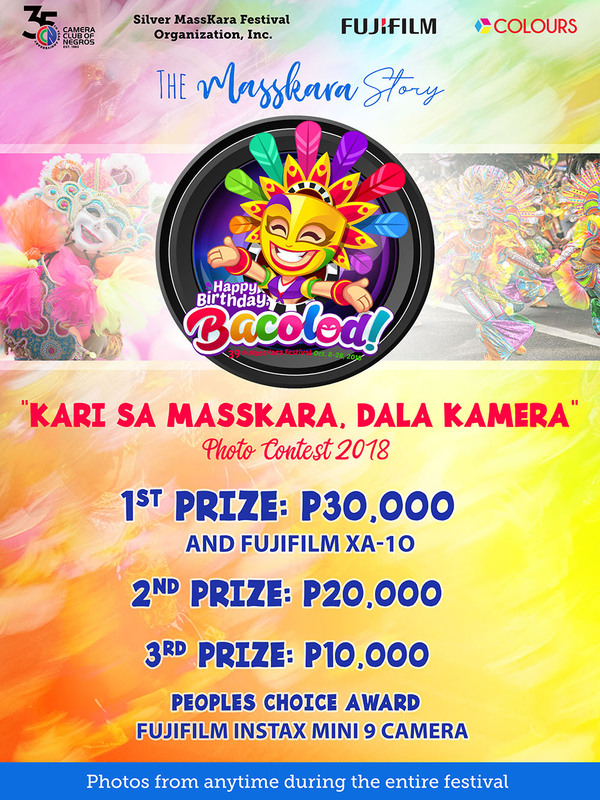 Entries must be taken during the celebration of MassKara Festival 2018, from October 8-28, 2018. Maximum of three (3) entries for each photographer. Official entry must be in 8”x12” colored print without border. Each entry should have label with Photographer’s Number, Name and signature. Soft copies of the original and edited files must be submitted in a CD/DVD labeled with photographer’s name & ID number) together with the printed entries. These are to be placed in a sealed brown envelope labeled with the Photographer Number, Name & Address on the upper left hand portion. Only global manipulation is allowed in this contest. Watermarks and other identifying marks are not allowed. Photographers are required to pick “Photographer’s Choice” for most photographer-friendly dance group in the entry form. Photographer expressly allows the Silver MassKara Festival Organization, Inc. free use of their entries for promotional purposes. Ownership and rights of the photo(s) shall be retained by the photographer and the photographer will be given photo credits by the Silver MassKara Festival Organization, Inc. for the use of their Photo(s). Announcement of winners will be on November 15, 2018. Winners will be notified by phone or e-mail.